Auberge Bligny is an 1861 homestead in the historic centre of Franschhoek. It opened 16 years ago as a guest house, is owner managed and has 8 en-suite bedrooms. There is a romantic honeymoon room and some rooms with interleading doors (ideal for families or groups). Breakfast is served – in summer on the pool terrace. Many of the restaurants and shops for which Franschhoek is famous, are within easy walking distance from the guest house. Stroll to some wine farms for some wine tasting, and enjoy your wine purchase with some bread and cheese at Auberge Bligny – the kitchen and garden are always at the disposal of guests. 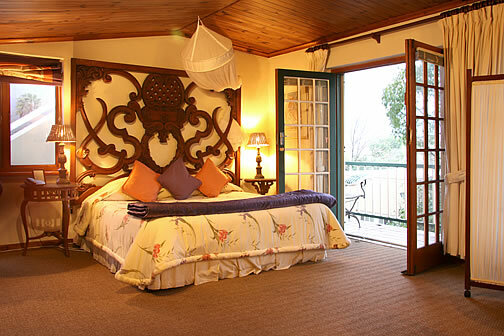 Jack and Frieda invite you to use their charming guest house as a base from which to explore the Winelands. Eg Stellenbosch and Paarl are 20 minutes away, Somerset West and Robertson (45 minutes), and Hermanus and Tulbach (90 minutes).